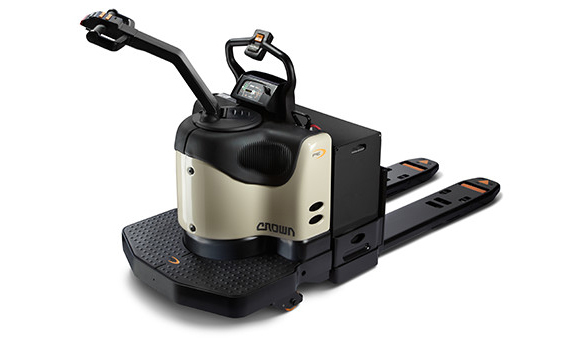 The Crown RM/RMD Series offers unmatched, all-around visibility – at ground level, eye level, height and in all directions around the operator. 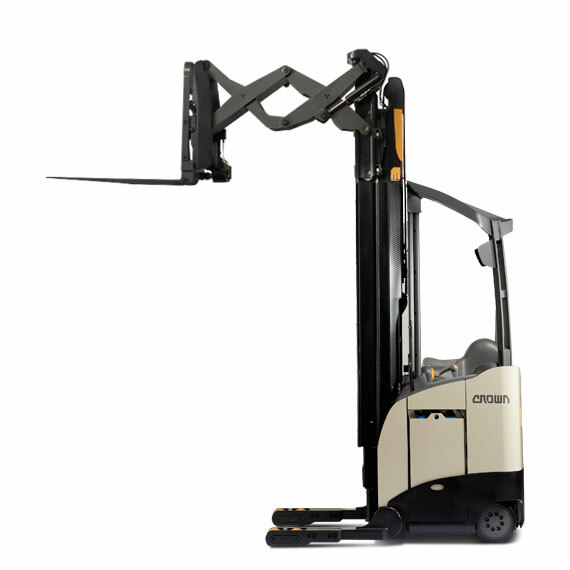 The RMD Series is the only narrow-aisle rider reach truck with a MonoLift mast. The forks extend to allow the truck to deposit or retrieve pallets that are positioned in the rack two deep. 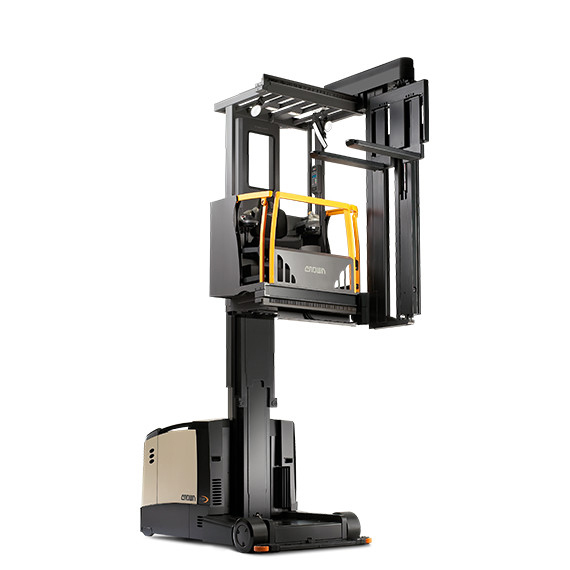 The TSP 6000 Series is a man-up turret stockpicker with a max lift height of 495 inches. 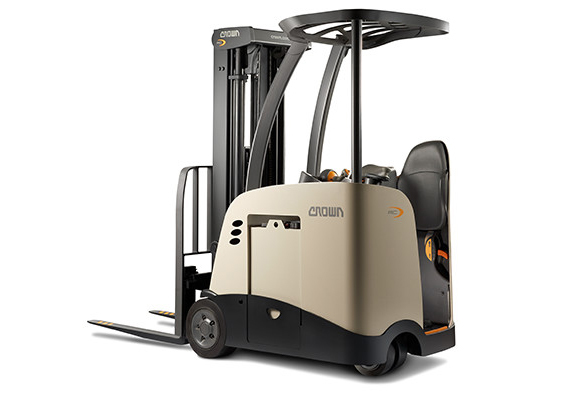 This series can handle full pallet loads on either side of the aisle due to the pivoting design of the auxiliary mast and fork carriage. In addition, the PTH Series uses yellow chromate pins and shafts for corrosion protection and hard chrome pistons to minimize rust. 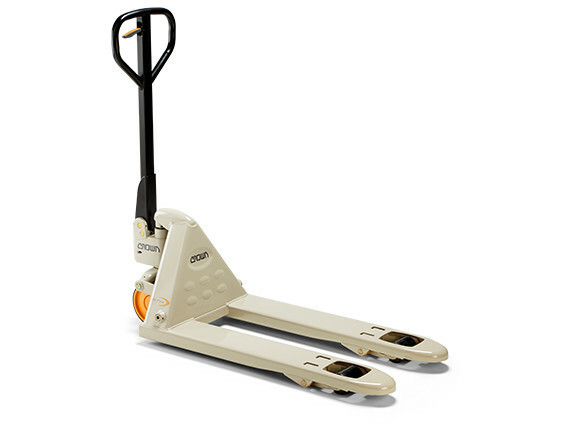 The PTH hand pallet truck features a 5000 lb weight capacity, heavy-duty, one piece formed forks for maximum durability, and a hydraulic system tested to more than one million cycles.